Farah Kashef joined UNI's IT-ETMS department in fall 2013 and currently works as the Educational Technologist for the College of Education. She received her M.A. in Performance and Training Technology from UNI in 2011 and has worked as an instructional technologist, instructional development specialist, and faculty technology integration specialist, prior to her current position. Farah assists COE's faculty with eLearning Suite and other IT-supported technologies to discover new and better ways to enhance instruction. She conducts training sessions (one-on-one, or groups) teaching faculty and staff how to use the available technologies and how to design courses in ways that would benefit the students best. She has been a certified Quality Matters Peer Reviewer since 2012. Farah would also co-teach with the faculty, per request, on any technology tool besides Blackboard Learn, used for students' assignments and activities, such as various Google Apps, VoiceThread, or Poll Everywhere. 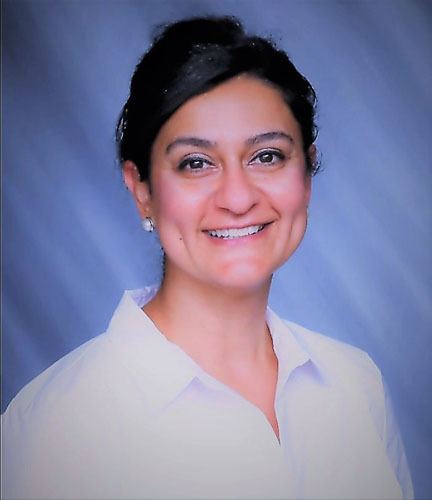 Besides instructional design and faculty development, Farah has also been teaching courses in higher education since 2008. She has taught health and science related courses at Hawkeye Community College and Educational Technology and Design at UNI. Office 1: SEC 202B Mon-Thurs; Office 2: ITTC 120 Fri.
Motto: Happy faculty lead to successful students! Submit Suggestions Here for instructional videos! UNI Mission Statement: Within a challenging and supportive environment, the University of Northern Iowa engages students in high-quality and high-impact learning experiences and emphasizes excellence in teaching and scholarship. IT-ETMS Vision Statement: Providing Innovation and Empowerment, Educational Technology and Media Services will lead the University of Northern Iowa through the integration of technology to support an engaged educational environment.